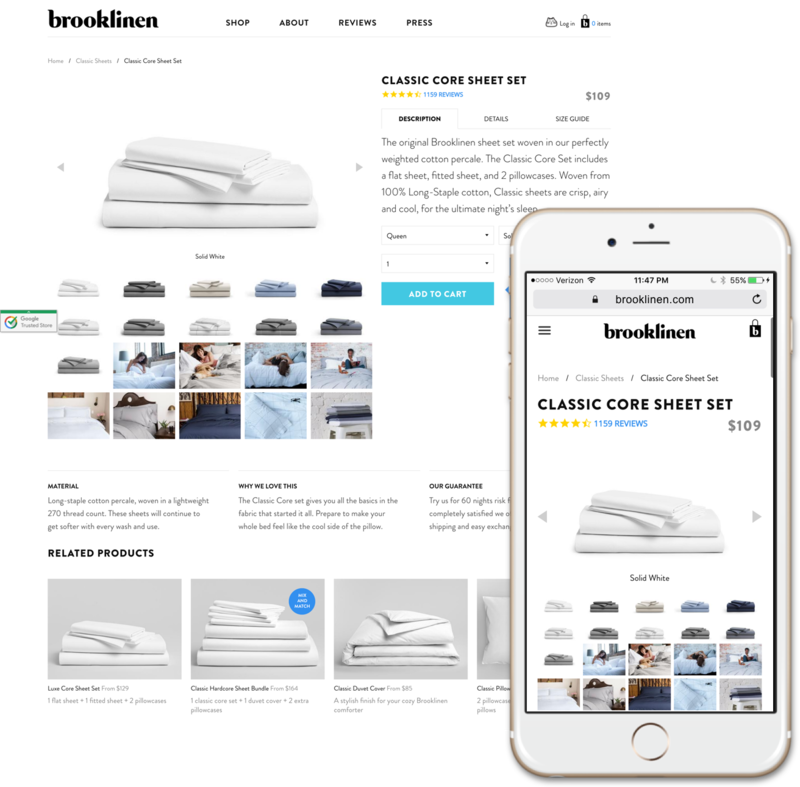 Avoid information overload on the product page, customer should focus on the right information and make purchase decision. When customer become a part of “product development” process, the interaction in creating product can lead the customer to buy it. Over 50% of merchandise abandoned in the shopping cart, encourage customer to check-out right away. A right comparison tool not only help customer to find the right product, but also help them making decision. Consumer reviews are significantly more trusted than the descriptions that come from manufacturers. A good way to retain user’s interest throughout the experience and encouraging them towards checkout. 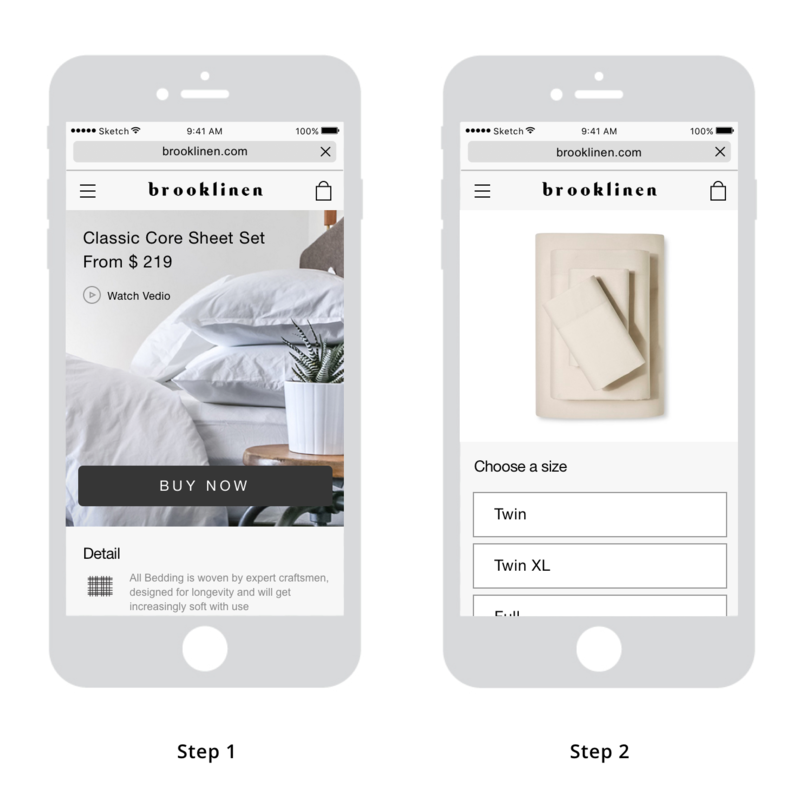 Streamlining the shopping experience into two major steps. 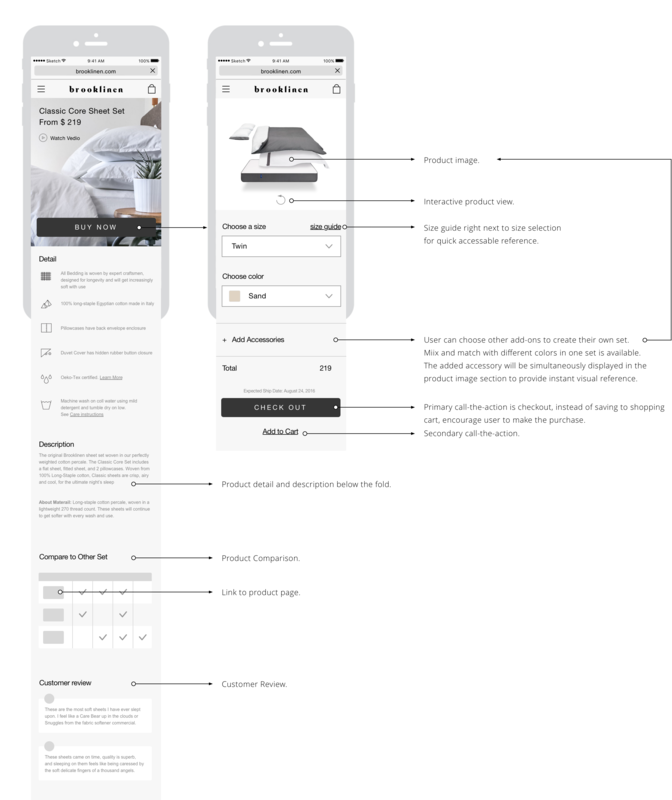 The focus of the first step is on introducing product detail, description, and product gallery. The primary call-the-action “BUY NOW” should be above the fold. 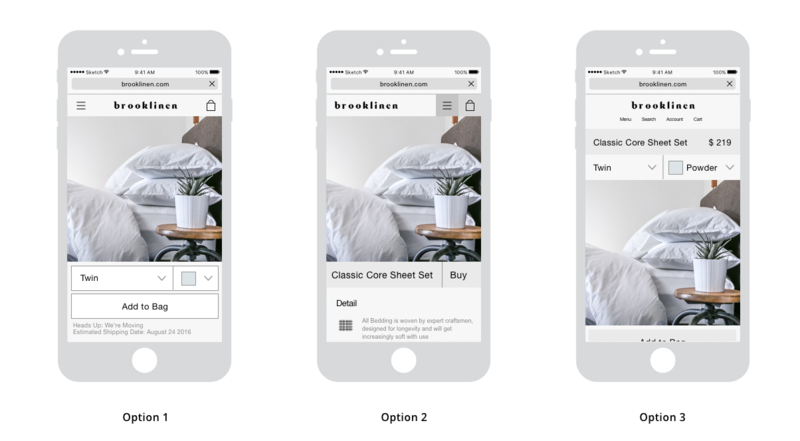 The second step let user to focus on creating their own set by selecting the size, color, and/or adding additional companion accessories like pillow or duvet. Or even mix and match different color for pillow case and duvet cover.